Stunning custom home built in 2016 w over 4200 square feet of living space. Located on Alpine Lake, Innsbrook Resorts largest lake. 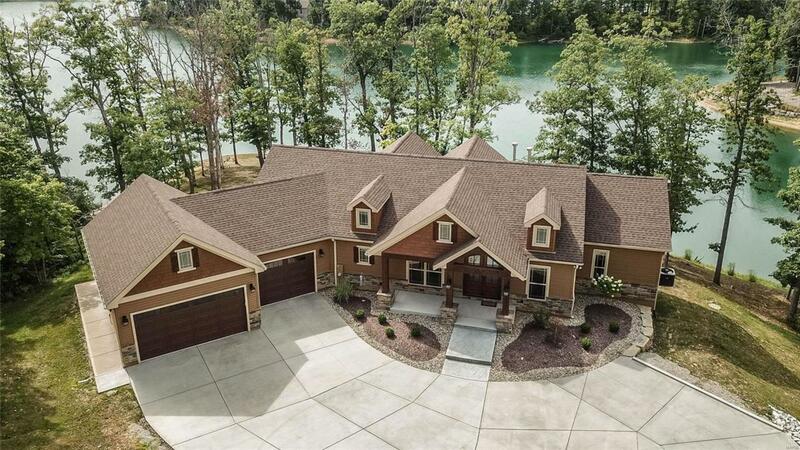 Enjoy lakeside living at its finest. Captivating views from almost every room. Easy lake access w gentle slope to the beautiful long stone seawall at waters edge giving easy access for all water activities. Perfect for entertaining family or friends year round. The attention to detail is beyond imagination. It truly is a must see to appreciate all from strategically placed windows to Triangulo exotic wide plank wood flooring to the auto-sensor stair lighting to chefs delight kitchen w to die for pantry, to the four Season Rm & the 3 car oversize garage for all the toys one might acquire. This home is ideal as a primary residence or secondary getaway w low exterior maintenance or upkeep providing more time for relaxation, recreation & enjoyment of all Innsbrook Resort has to offer. Special Features List is available to see what is instore for you.